Apple just doesn't think this way anymore. Somewhere in my basement I have an original graphite AirPort Base Station. It’s one of the few non-working Apple products I couldn’t bring myself to recycle, and the reason is two-fold. One, it’s one of the Apple’s best designs. 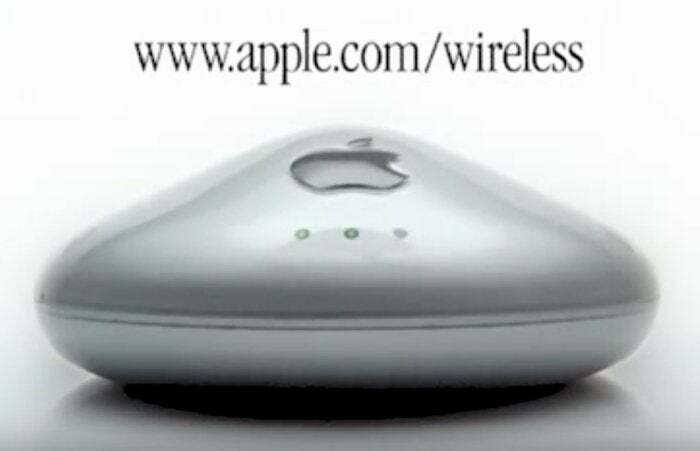 In an age where routers were ugly boxes with giant antennas, Apple’s curved base station really did look like a UFO. Even after it stopped working, I kept it on my shelf for years. The other reason is its history. Even more than the iPhone, iMac, iPad, and iPod, the AirPort Base Station is, to me, the greatest example of Steve Jobs’ genius. The original AirPort wasn’t a product for Apple’s power users, it was made for consumers at a time when wireless networking in homes was a foreign concept. It boiled down complicated settings and convoluted configuration screens to just a single plug-and-play system. As we all know, it wasn’t cheap. It only worked with one product, the candy-colored iBook. But even without huge sales, the impact the original AirPort had on the industry was immediate and massive, at least as great as the iBook itself. And now it's dead. And we’ll probably never see another product like it from Apple ever again. In 1999, the iBook was a risky product for Apple. Designed in concert with Lucent Technologies, it was as revolutionary and bold as the floppy drive-less iMac, and the stakes were just as high. But the addition of AirPort upped the stakes considerably. Steve Jobs envisioned a fully wireless world before the rest of the industry, and the AirPort was the first step to getting there. The iBook didn’t need AirPort, but AirPort needed a Mac to get off the ground. And Steve chose the most unlikely of notebooks for its introduction. An easier path would have been to target pro users who were already familiar with Wi-Fi and ease Apple’s less-informed user base into the transition. But Steve didn’t want it that way. He understood in 1999 that wireless technology was as personal as computers were in 1984, and he wanted to showcase its potential to people. Consider this: While the iBook’s price was already pretty high at $1,599, the Base Station cost $299 and the required AirPort card (which installed by lifting up the keyboard) was another $99, bringing the total price of wireless convenience to just under $2,000. Steve knew that many or even most iBook customers would probably balk at such a high price, but that didn't concern him. The tracks were laid, as he said himself at the Macworld New York 1999 keynote: “iBook is the first computer ever designed right from the start to be optimized for wireless communication.” Obviously, it wouldn’t be the last. It would have been easy to target pro users with AirPort, both from pragmatic and a sales standpoints. But by designing its AirPort to work with a candy-colored laptop rather than its more mature PowerBooks, Steve was telling the world that Wi-Fi was the future, and it needn't be limited to professional users. The original iBook was the original breakthrough Internet communicator. Even in 1999, AirPort didn’t deliver the “baby internet.” It had a top speed of 11 megabits per second and more importantly, it embraced privacy with full end-to-end encryption. That was unheard of in a consumer laptop. 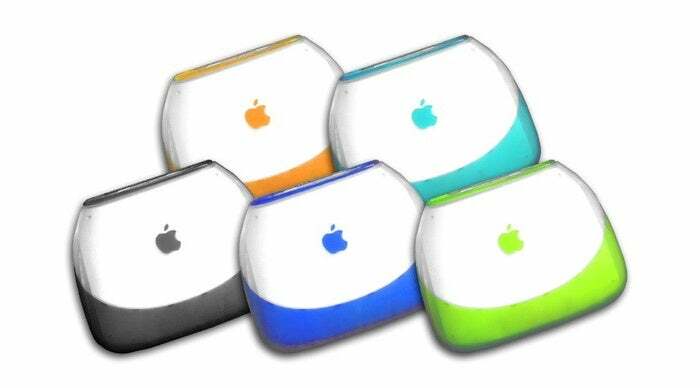 The clamshell iBook didn’t necessarily look the part, but AirPort made it one of the most cutting-edge products in Apple’s matrix, and it would take several months for the rest of the Macs to catch up. Over the years, AirPort evolved into a full wireless solution that worked with any and all devices, but the ease-of-use Apple revolutionized with the original AirPort never went away. From the remarkable Airport Express to the ingenious Time Capsule, Apple’s wireless products were always designed with the consumer in mind. It took a complicated system and made it easy, a mantra that Apple has gotten further and further away from as it has grown. I mean, just read the support doc Apple provides for choosing a new router. It's been a while since the Airport was a must-have device, but that's mostly Apple's fault. Nowadays, you can buy any number of routers or mesh Wi-Fi systems, but none of them beat what the AirPort was. The Orbi satellites I have around my house are excellent, but I still have an AirPort Extreme Time Capsule hooked up to the one in my office for backups. And whenever I need to dive into the Orbi configuration page to check something, I lament the loss of my AirPort Utility. 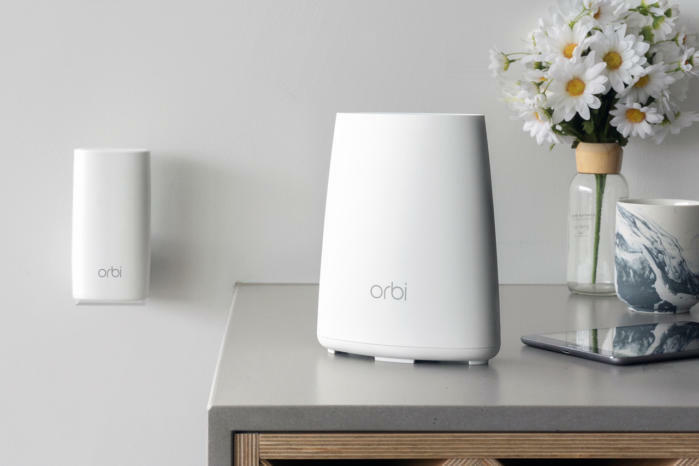 Netgear’s Orbi is a great system, but it doesn’t have the same ease-of-use as AirPort. Apple could have made a Wi-Fi system that “just works” and combines the all-over coverage of a mesh system with the simplicity of AirPort. But it stopped playing that game long ago. Today’s products are more about filling a category than a need, and I can’t imagine Tim Cook ever green-lighting something as risky or revolutionary as the AirPort-iBook combo anytime soon. Visit www.apple.com/wireless now and it takes you to a 404 page. The revolutionary vision that was so strong in 1999 is literally missing. It’s not about the decline of the Mac or the uselessness of the Touch Bar, or even the terribleness of the MacBook Pro’s keyboard. It’s about a long-term vision that just isn’t there anymore. Products like the iPhone X, Apple Watch, and even HomePod are all built to sell now, but where will they be in 10 years? Argue about features and design all you want, but the vision Steve delivered with AirPort just isn’t there. iPhone X may represent the start of the next 10 years of iPhone, but Apple’s overall vision is decidedly myopic. It's the same reason why it's taken Apple years to deliver on its promise of a new Mac Pro. It's not because it doesn't have the team or the resources, it's because the vision of the existing Mac Pro was so short-sighted, Apple had to scrap the whole things and start from square one. AirPort wasn’t just a foundation to grow on, it was the first step in a decades-long plan that delivered the iPod, iPhone, and iPad, and freed us of wires and tethers. So maybe I’ll go dig it out of my storage boxes. Because it might take a while before we see anything quite so visionary from Apple ever again.